Most plants benefit from some sort of regular pruning and maintenance. It keeps them healthy and encourages fresh, new growth. The trick is in knowing when to prune what. A great many flowering and fruiting plants prefer to be pruned while they are dormant, in late winter through early spring. However, there are some, like spring blooming trees and shrubs, that will start setting new buds as soon as the old buds have fallen. These will need to be pruned shortly after flowering, or you risk pruning off the new buds with the old. And then there are other plants that need to be continually pruned and deadheaded, to remain vigorous and in flower. Whatever plants you have, the first thing you need to consider is the best tool for the job. Sharp, clean tools not only make the job of pruning plants easier, they are crucial to keeping your plants healthy. The four basic tools required for pruning most plants are hand pruners, loppers, shearers, and saws. Here’s a breakdown of which pruning tools are appropriate for your pruning tasks. When to prune can be confusing but pruning at the wrong time is rarely fatal. Pruning at the wrong time of year may result in fewer flowers and fruits, but it usually won’t harm the plant in the long run. The exception to this is pruning too late in the season and encouraging a lot of tender new growth that will be killed back with the onset of winter weather. To help you take the guesswork out of pruning here is a series of articles to help you learn when to prune the plants in your garden. Perhaps the most confusing group of plants, when it comes to pruning times, is flowering trees and shrubs. A general rule of thumb is to prune summer and fall flowering trees and shrubs in the dormant season (late winter / early spring) and to prune spring flowering trees and shrubs soon after their flowers fade. The confusion comes with plants like hydrangeas, roses, and clematis because some of these flower in spring, some in summer or fall, some flower repeatedly. Here are some guidelines for figuring out when your particular variety is best pruned. Most fruiting plants need to be pruned while they are dormant. You usually get one chance to set buds for next season’s crop, so particular care is taken with fruit trees and berry plants. Most flowering plants grown for their ornamental value will still give you some sort of show, even if you’ve been lax about regular pruning. Fruit trees and berries will steadily decline unless they are pruned and tended. There are several reasons for this, including suckers that direct energy away from fruiting branches, older branches susceptibility to diseases and pests and the habit of many fruiting plants to only produce on branches of a certain age. So if you are growing tree fruits or berries to harvest, pruning them should be given high priority. Gardeners don’t often think about pruning evergreen trees, which is probably a good thing. Evergreen trees don’t need to be pruned. It is not recommended that you use pruning to keep an evergreen tree’s size in check. You will just stress and distort the tree by doing that. Better to choose a smaller, dwarf evergreen than trying to size down a large tree. However, there are times when you want an evergreen in your landscape to be a bit fuller and that can be accomplished with some well-timed pruning. Keep in mind, the larger the tree, the more labor-intensive this type of pruning will be, so do this while the tree is young. Perhaps the most labor-intensive plants to prune are the non-woody perennials. The notion that you can plant perennials once and then have a maintenance-free garden forever is an incorrect notion. Most perennial plants, especially the flowering ones, not only need to be cut back entirely at some point before or after the growing season, they need regular pruning, shearing or deadheading. Which plants to prune when and how much to prune them is something you learn as you acquire experience gardening. It’s part of the pleasure of gardening for most gardeners and it’s the type of knowledge that varies from region to region. 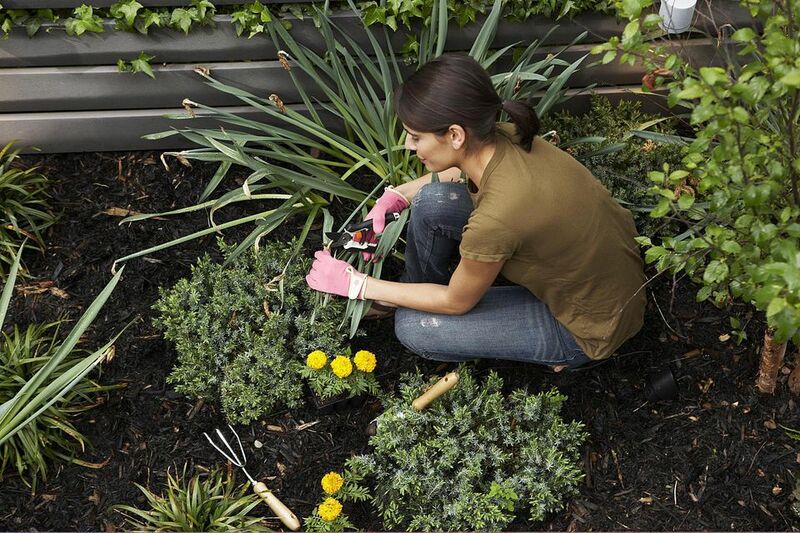 When and how to prune perennial plants probably makes up more garden chat than any other topic. The articles here will get you started. Pruning is an ongoing garden task. It gets less confusing and intimidating the more you do it. In fact, you will learn there are even some pruning practices you can completely ignore. We hope you found this post useful, but if you still have questions about pruning your trees, shrubs or perennials; give us a call, email us, or stop by the farm and our staff will be more than happy to assist you. Our goal is to provide you with a value oriented experience through inspiration and education.